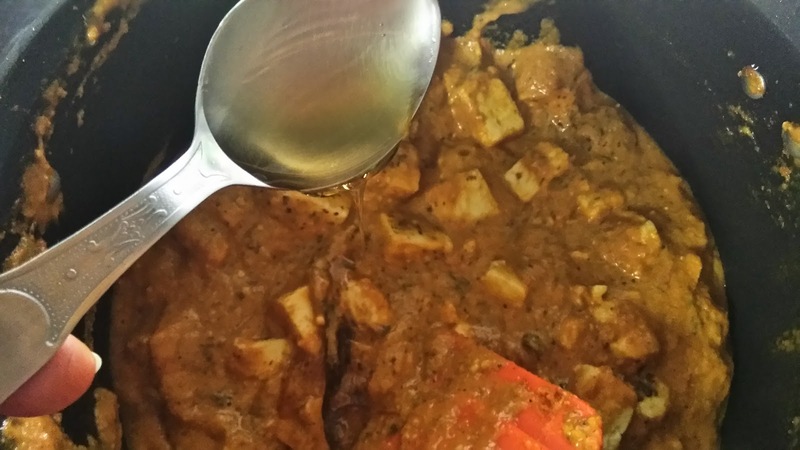 Kids love paneer specially if it made in creamy and buttery gravy. 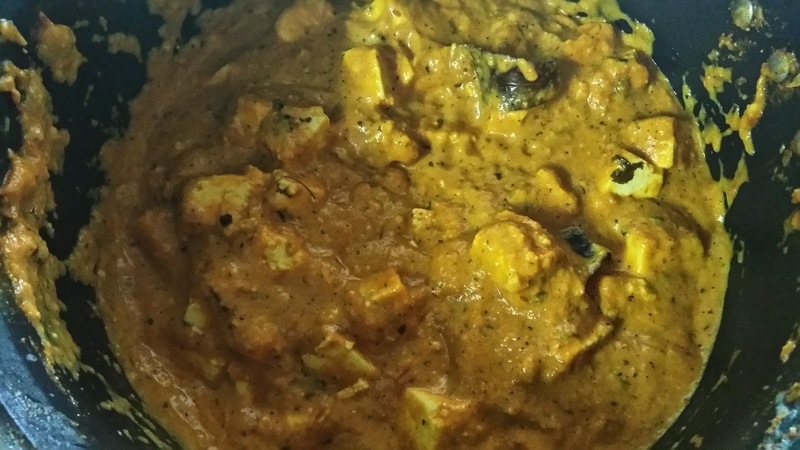 Here I am sharing another paneer recipe being cherished by my kids. Paneer labadar is a side dish which can served with tandoori roti or with plain chapati. 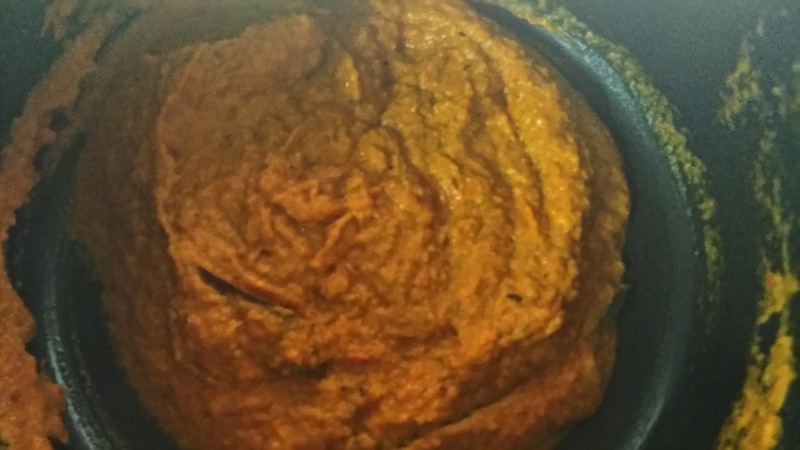 It requires less ingredients as compared to shahi paneer and tastes heavenly. Do try this recipe and share your feedback. 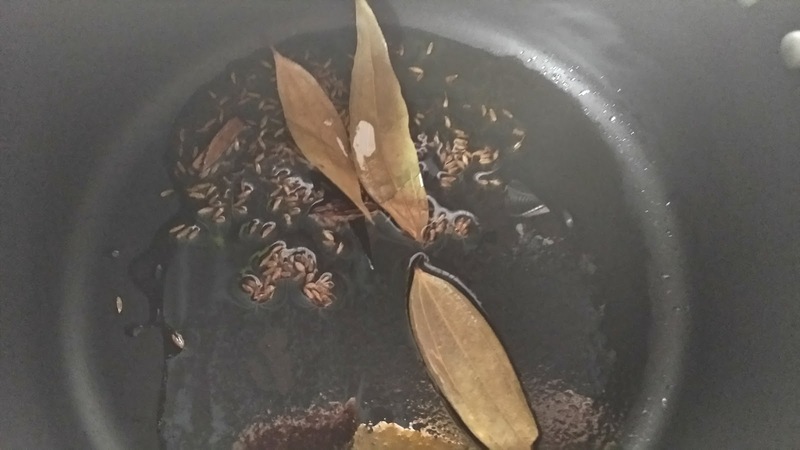 In a pan, heat oil, add cumin seeds, cinnamon and bay leaves, let it splutter. 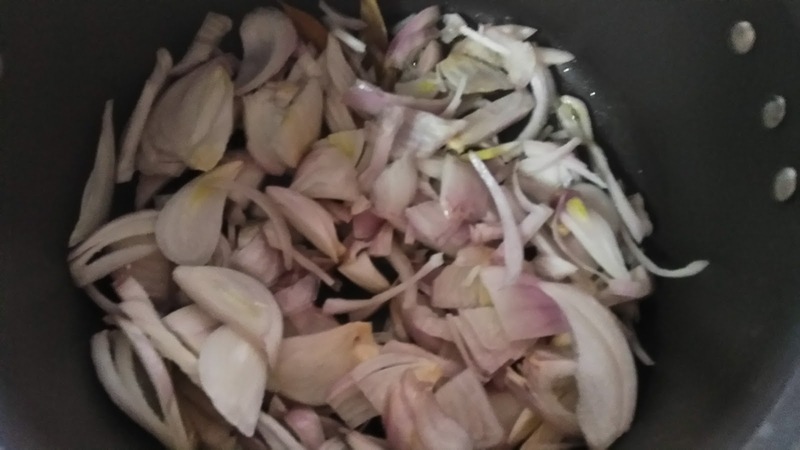 Add onion, let it saute till soft and translucent. 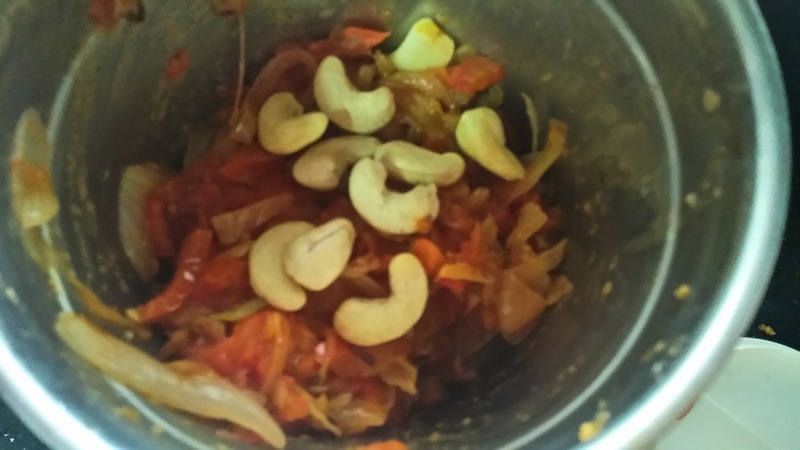 Add ginger-garlic paste, tomatoes and cashew-nuts (I forgot to add cashews at this stage). 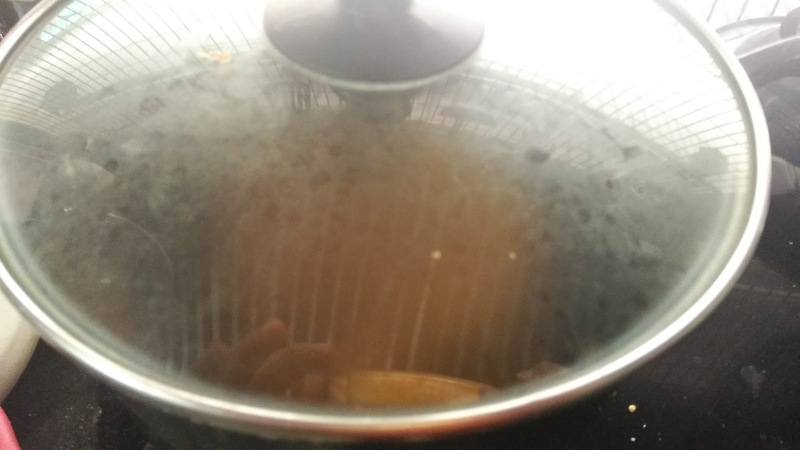 Add 1/4 cup water. 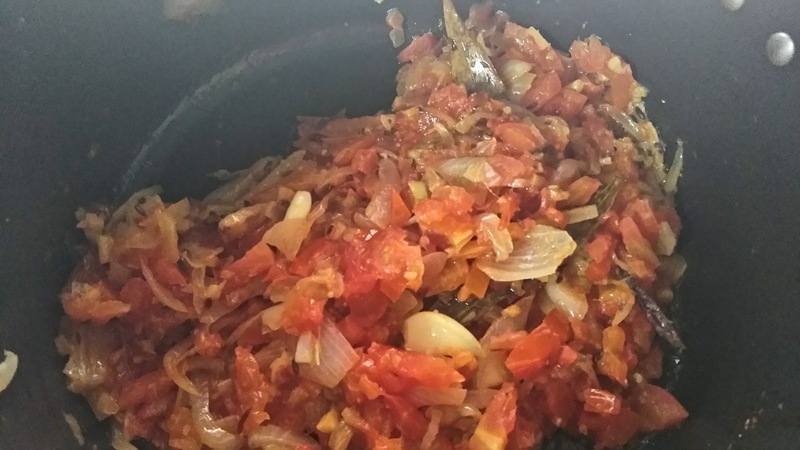 Cover and cook till tomatoes become soft. 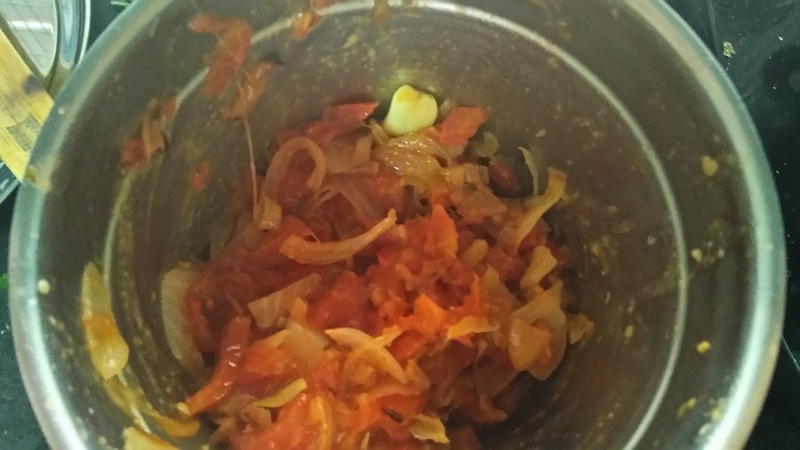 Transfer the mix in grinder except for bay leaves. Blend to make smooth and fine paste. Pour this paste back in pan with bay leaves, adding butter to it. 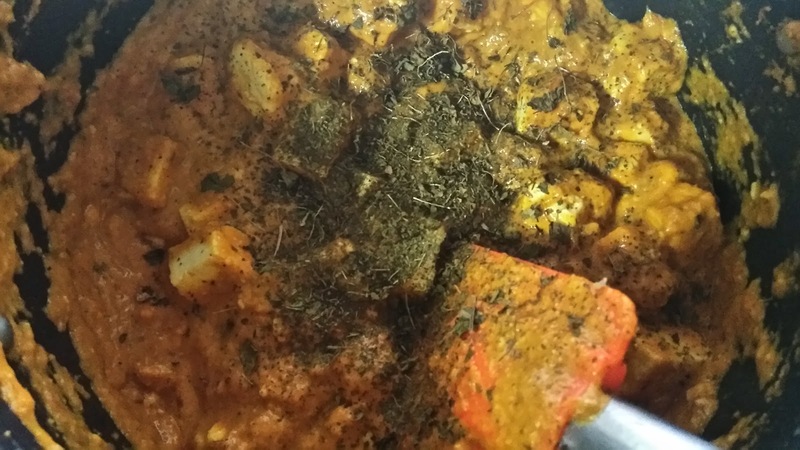 Add salt, coriander powder and red chilli powder and let it cook for around 10-15 minutes. 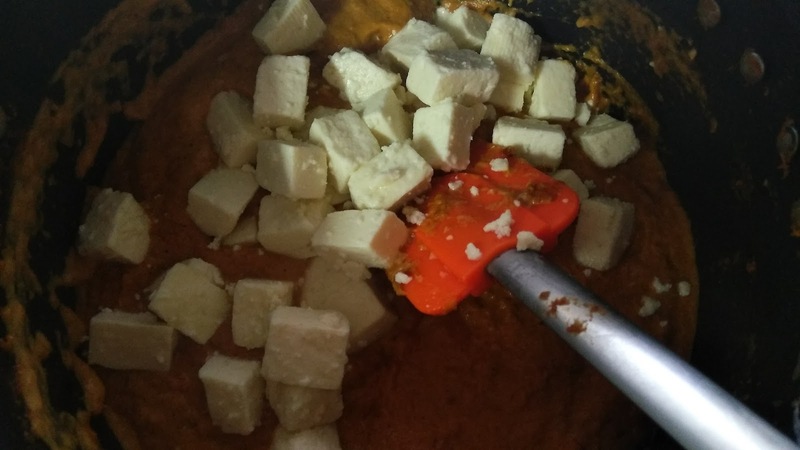 Add paneer cubes, kasuri meethi and honey. Turn off the flame and add cream. 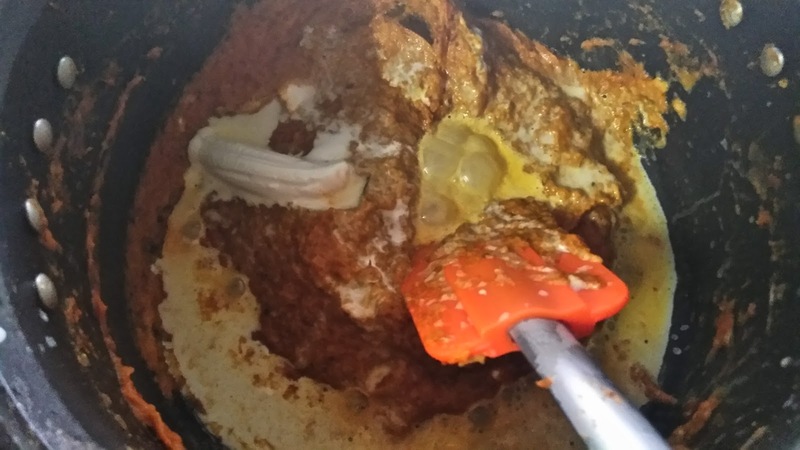 Add water if curry becomes too thick. 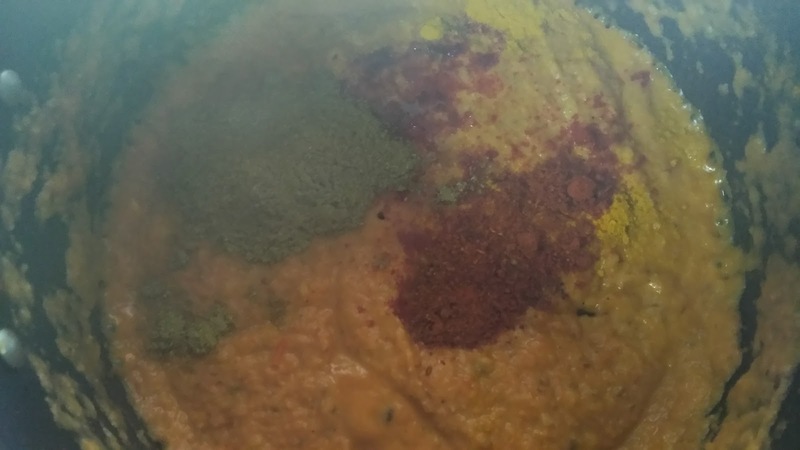 Serve hot with tandoori roti without tandoor. 1. 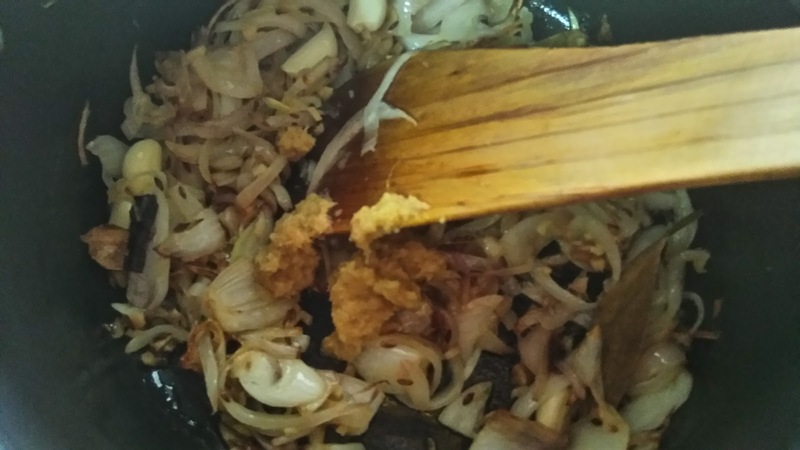 In pan, add oil let it become hot, add bay leaves, cumin and cinnamon. Let it splutter. 2. Add sliced or roughly chopped onion. 3. 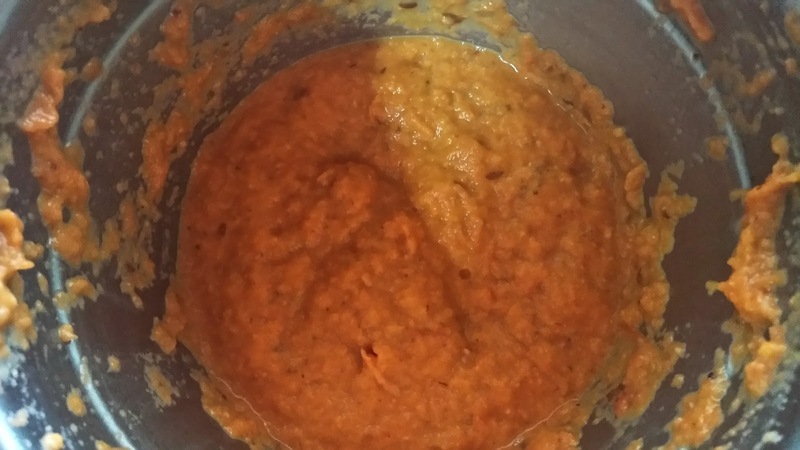 Ginger-garlic paste and saute for about 5 minutes. 5. 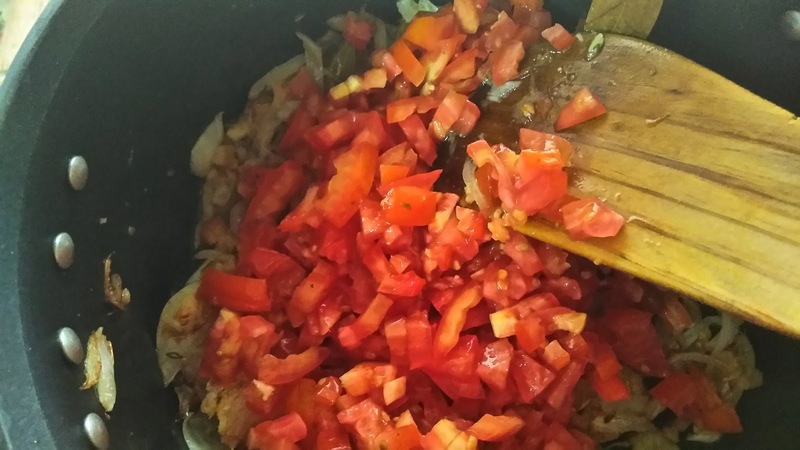 Add 1/4 cup water, cover and cook till tomatoes are soft. 7. 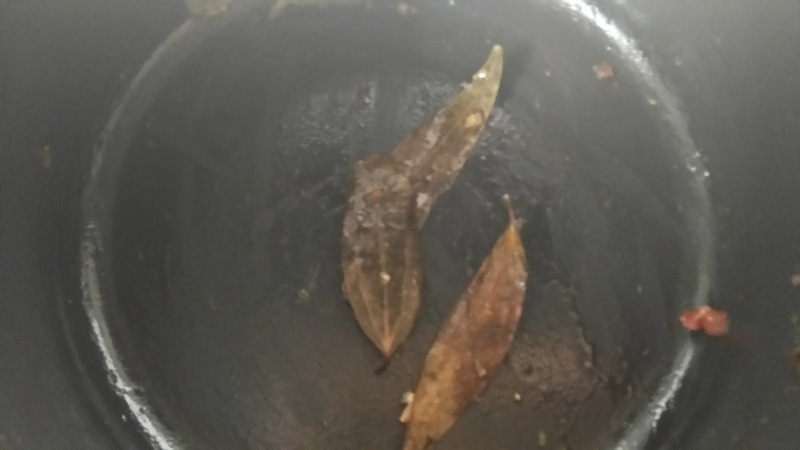 Leave the bay leaves in pan. 8. Transfer it in blender jar. 10. 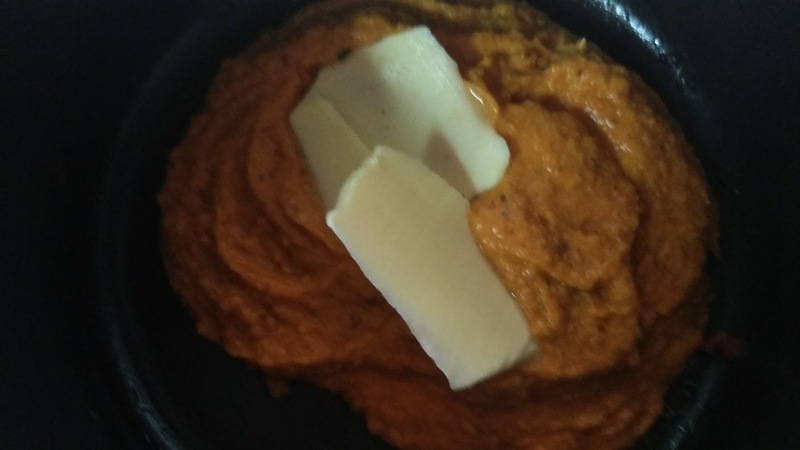 Blend to make smooth paste. 11. Transfer this paste back in pan with butter. 12. Add salt, red chilli, coriander powder and cook for about 10-15 minutes. 13. Pan have started leaving the sides. 17. Turn off the flame. Add cream. 19. Serve hot with freshly chopped coriander leaves.